At Al the Vecchio Braciere we are passionate about meat and we want to offer it to our customers in the best possible way! 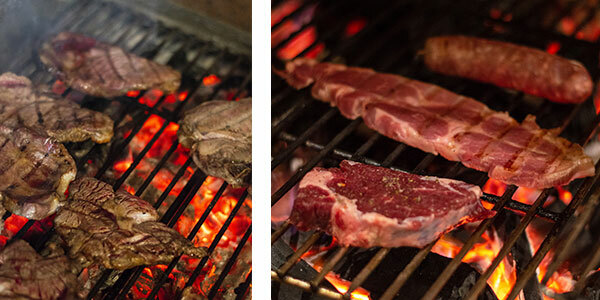 The grill is in fact one of our best strengths, because it allows us to cook the meat in a simple way and to give it a unique taste. 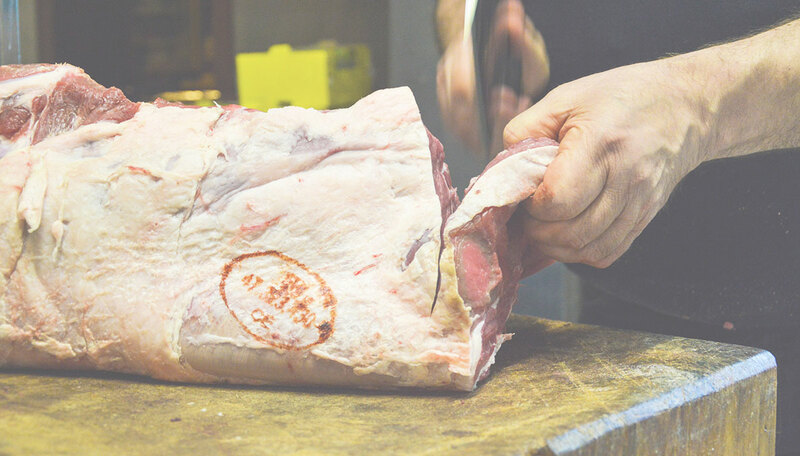 The experience of Luciano in the butchery has made all this possible: it is important to know the characteristics of each type of meat, and know the cooking times to obtain an exceptional result. more valuable and coming from exclusively Italian pastures, with the exception of the Tomahawk Steak, of Irish origin. from Italian beef, less fat and more succulent, up to pork, without forgetting the Fiorentina, typical Tuscan beefsteak. Steak is usually cut perpendicular to the muscles of the animal in order to make the meat tender. Ours is a Cinta Senese steak, breed of pigs reared in Tuscany. Located in the part of the chest, they are a very tasty and appreciated cut of meat. Used for the typical Tuscan Rosticciana, flavored with various spices. 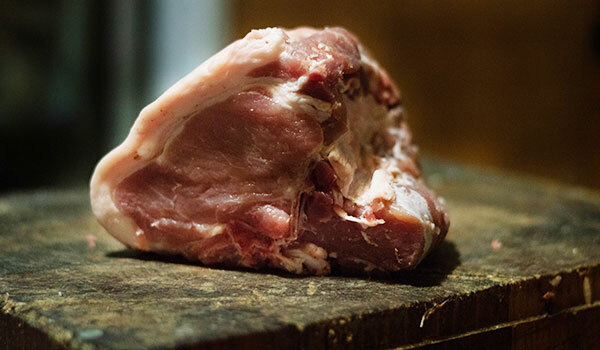 Characterized by the balance between the lean and fat meat, it is located between the head and the loin of the pig. Appreciated a lot because it is tender and tasty. 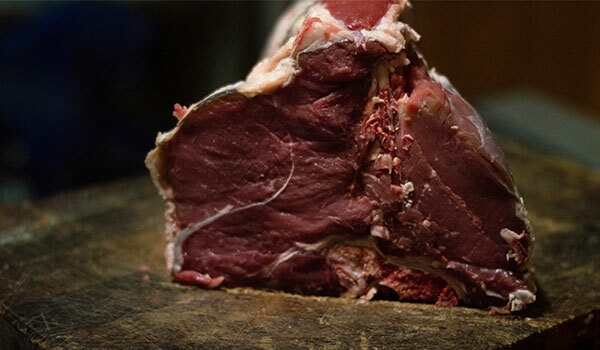 It is a very rare cut of Irish beef and is obtained from the front of the loin. It is a huge steak (hence the name “Beefsteak of Brontosaurus”); the meat is tender and juicy and grilled cooking enhances its taste to the maximum. 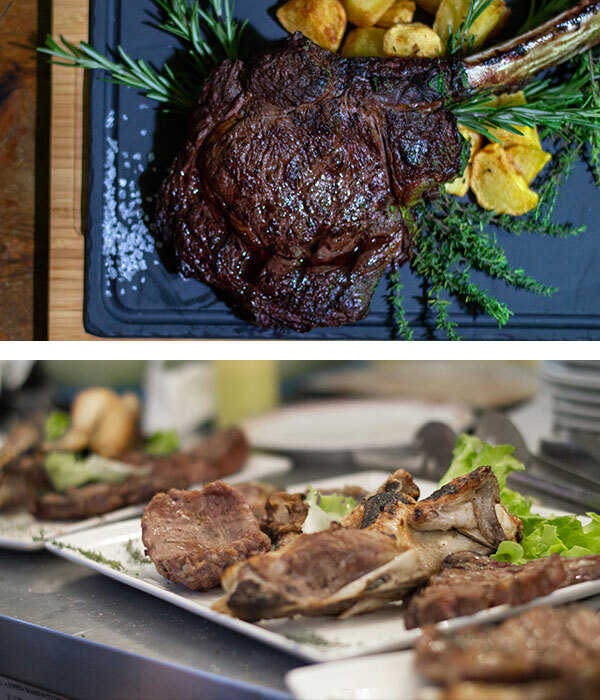 Florentine steak is a classic of Tuscan cuisine, derived from the great bovine breed of Vitellone (a very big veal). The cut is the loin, from the lower half of the back: the vertebral column, which represents the characteristic central T-bone, is inevitable. Lean and tasty meat, rich in protein and low in fat. 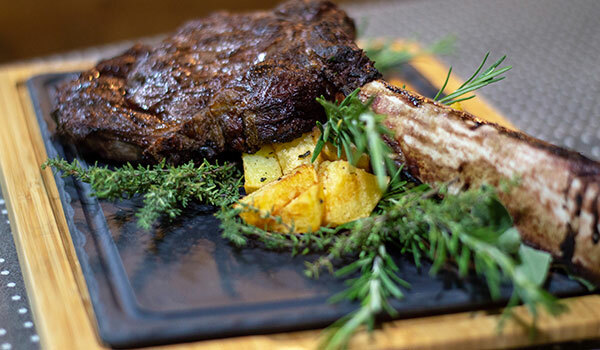 The steak with the characteristic central T-bone, which divides the fillet and the sirloin, a cut of meat typical of Tuscan cuisine. Characterized by cooking at a high temperature, the final appearance will be that of a well-cooked meat and with the crust on the outside, but a bright and juicy red inside. A delicious and rich cut of pulp, for the most refined palates. 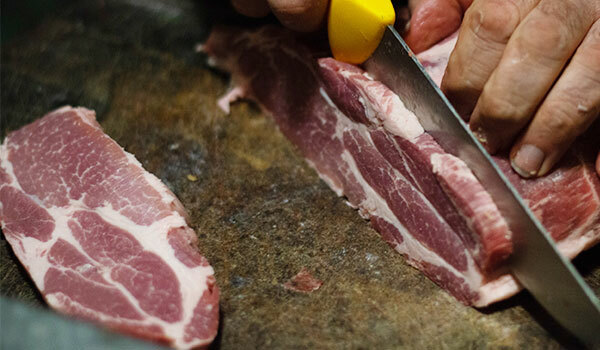 Rosticciana, sausage, shin and scamerita: various tasty cuts for pork lovers. For those who want to taste different meats and know the goodness of a barbecue able to satisfy any type of palate. 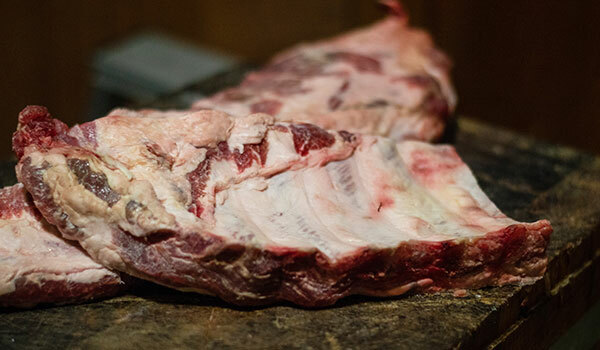 A cut that looks curious and inviting, especially given by the long bone (about 30 cm), extremely tasty and soft. A huge meat dish for the most insatiable!